Japanese people began composing poetry about 1500 years ago. 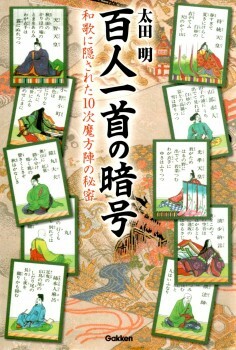 It is a poem called waka that is peculiar to the Japanese language and is composed of 31 syllables . Many anthologies of this poem were compiled by the Imperial command in ancient times. Two of them are literally called the Hundred Poems by One Hundred Poets and the Fine Poems by One Hundred Poets. They were both compiled in the Heian Era (late 8th century). The famous poet named Teika Fujiwara took a lead in editing them. It is said that certain mysteries hidden in these anthologies have long been past down to the present time through initiation and that the Imperial Household has been deeply involved in it. 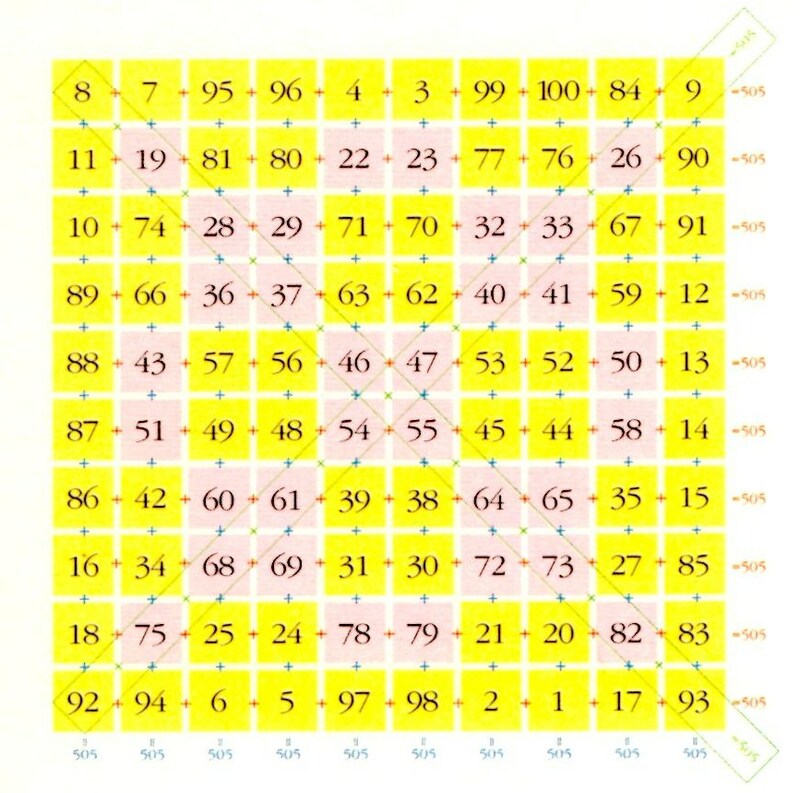 Recent study has revealed that one of such mysteries is a 10th -degree magic square consisting of one hundred whole numbers that is regarded as a difficult problem of the advanced mathematics. This indicates that Teika Fujiwara was an outstanding mathematician as well as excellent poet. This amazing study was done by Mr. Akira Ohta, a Japanese researcher on the ancient history. The fruit of his research was published in his book “Code of the Hundred Poems by One Hundred Poets: Secret of a 10th-degree Magic Square hidden in Waka“. Unfortunately, its English edition is unavailable at present. 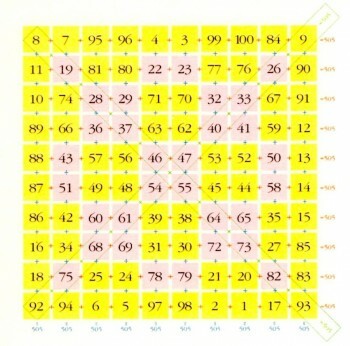 My intuition indicates that the 10th-degree magic square is not the ultimate mystery hidden in the above-mentioned anthologies, though it is an essential step toward it and that the true mystery is the cosmic code or blueprint of the Creator hidden in the prime numbers. 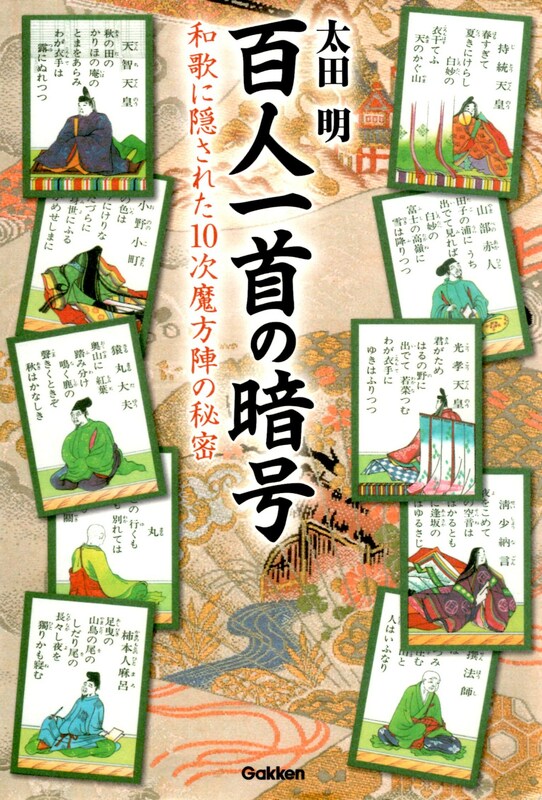 Mr. Ohta's book "Code of the Hundred Poems by One Hundred Poets"
Hello there, I discovered your site by means of Google at the same time as looking for a comparable subject, your site came up, it seems to be good. I have added to favourites|added to my bookmarks. Thank you for your encouraging comments. I will keep updating my website with new interesting information. Always look on the bright side regarding life is among my favorite sayings, as you do in your submit you try to not only focus on the negative but also on the positive in every a feeling of the way, it’s nice to see your posts, and you bring a lot of happiness into other peoples lifestyle with them, continually come with your awesome articles. Thank you for your heartwarming comment. It always is my pleasure. I will try to continue providing new, valuable information in my website. My spouse and I absolutely love your blog and find the majority of your post’s to be exactly I’m looking for. Would you offer guest writers to write content in your case? I wouldn’t mind writing a post or elaborating on most of the subjects you write concerning here. Again, awesome web site! Thank you so much for your proceleusmatic comments. As you can see, my website consists of three basic contents: (1) Silver Compass for the Earth Changes, (2) Renowned Japanese Metaphysicians, (3) Exciting Sacred Geometry Research. What kind of content are you interested in writing? Such contents must stand on my basic philosophy. Therefore, I have to verify this point before your writing is uploaded. The latest information on the on-going earth changes is welcomed, though it must be new and exact. Howdy! Quick question that’s entirely off topic. Do you know how to make your site mobile friendly? My site looks weird when viewing from my iphone 4. I’m trying to find a theme or plugin that might be able to correct this problem. If you have any recommendations, please share. Thanks! A video or an animation is used at a couple of locations in my website. It may be difficult to view it with your iphone. I suggest that you view it with your PC. I simply want to say I am newbie to blogs and certainly liked you’re blog. Almost certainly I’m want to bookmark your website . You actually have tremendous posts. Bless you for revealing your blog.